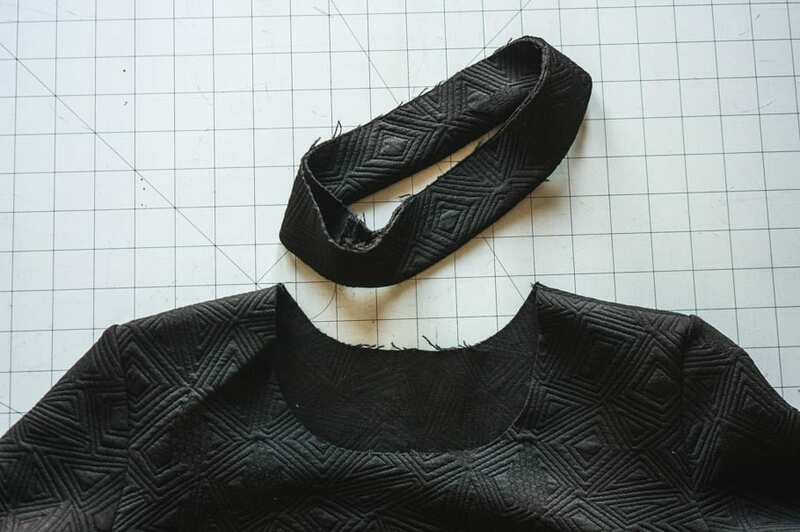 When I first made my scuba knit Ebony dress, I wanted to create a neck binding with some heft. 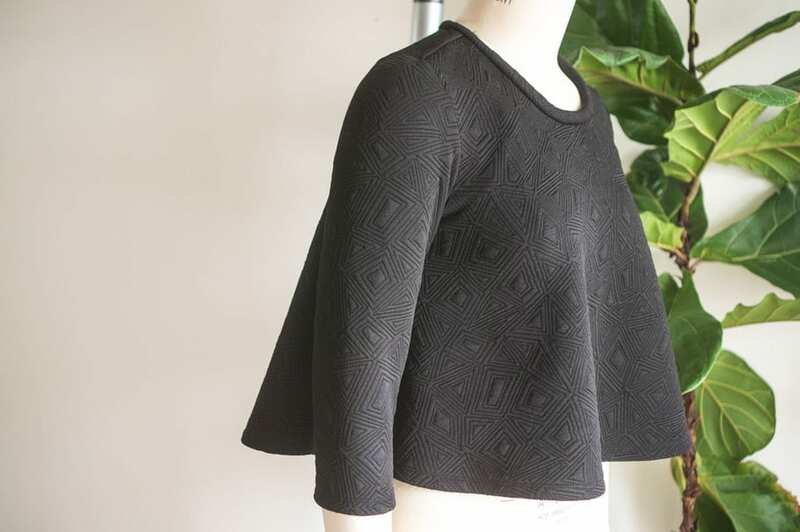 I experimented with a few techniques until I stumbled on something that gave the effect I wanted, and this tutorial will be very helpful to anyone hoping to create a 3D neckline binding with sturdy knit fabriccs, for the Ebony Tee pattern and beyond. 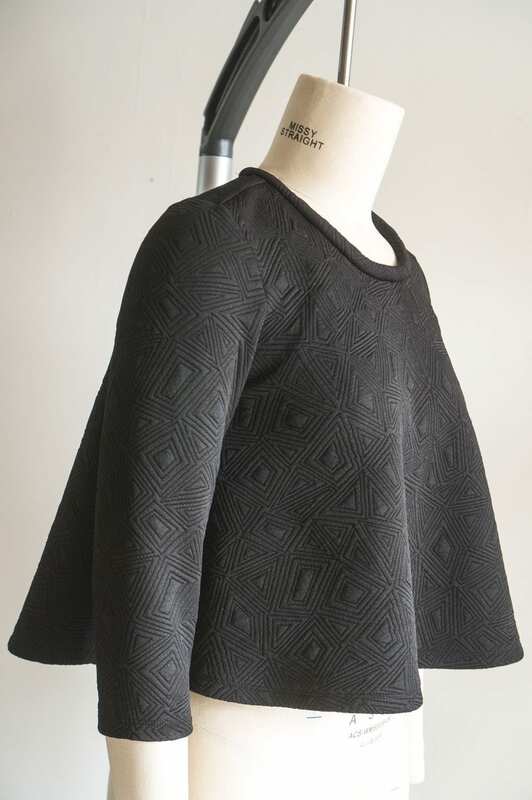 To demonstrate, I pulled out this luscious textured double knit from my stash to make a cropped Ebony. 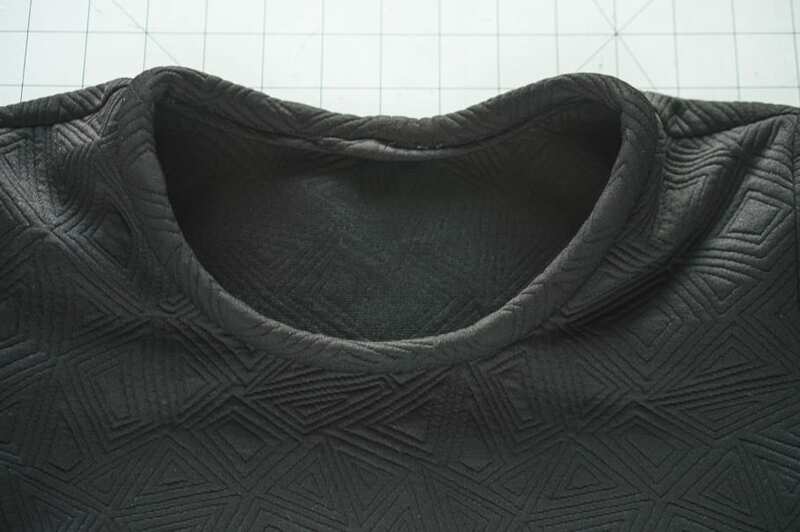 As you can see, this neckline binding finish has a raised profile. 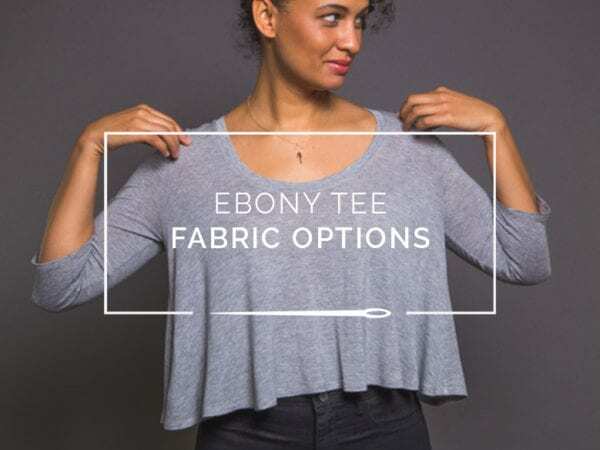 It’s little more special than your typical t-shirt band, and it’s a great way to play with the architectural silhouette of knit fabrics with some body. 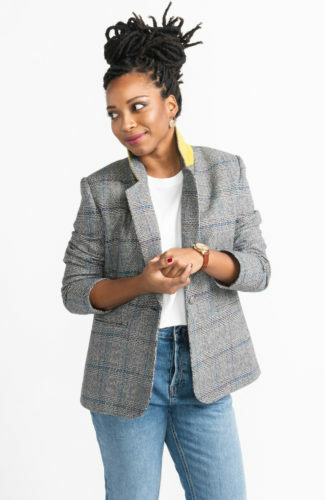 In my case, I did something fairly narrow, but this technique will work for wider bindings as well, and you are not limited to just using hefty fabrics. 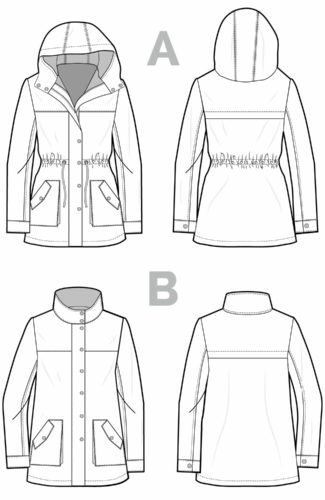 Although the profile will be flatter, this technique will with any knit fabric, and creates a nice, clean finish inside and out. 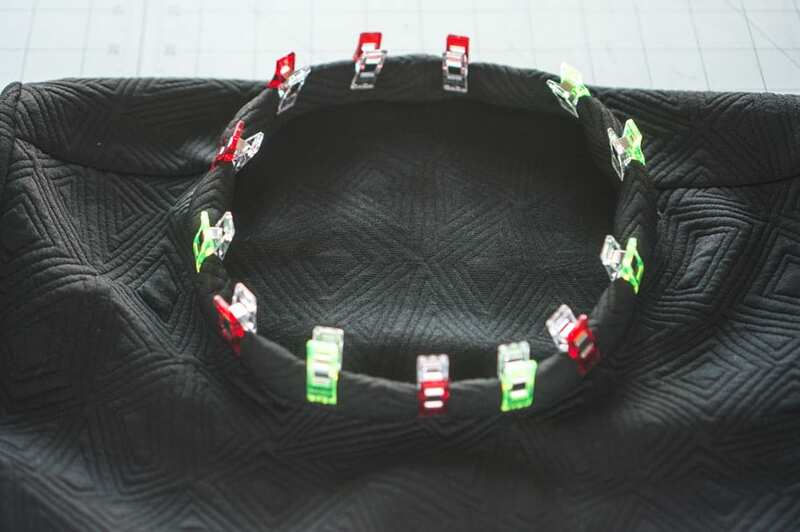 To start with, you’ll want to pull out the pattern piece for your neck band if you have one. 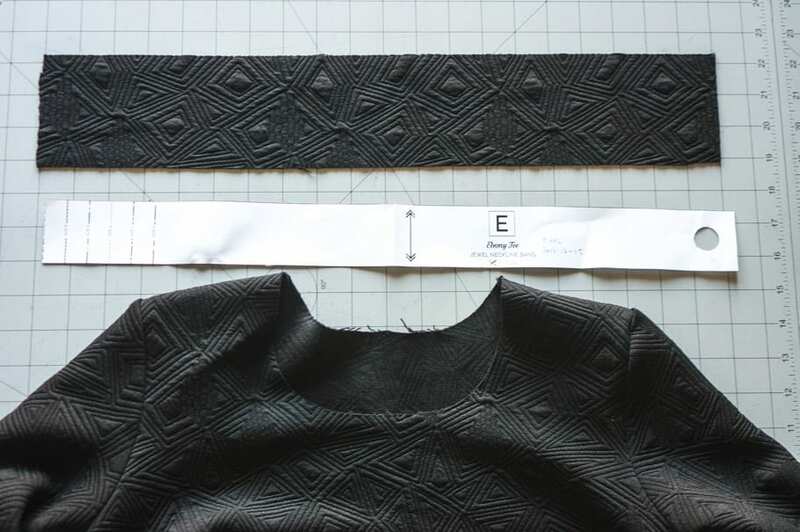 This binding will be the same length – we are only changing the width. 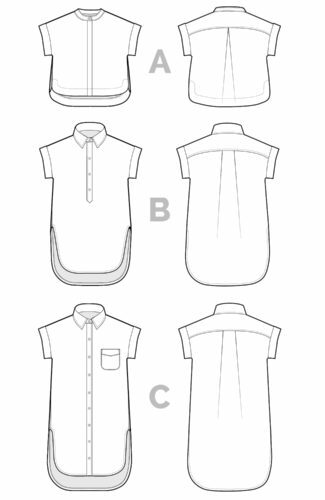 If you do not have a pattern piece, measure your finished neckline. 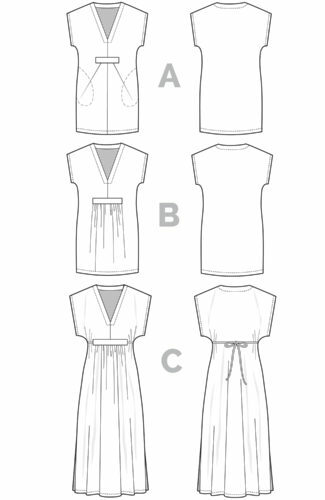 You’ll want to create a pattern piece that is roughly 90% of that length, plus seam allowance. 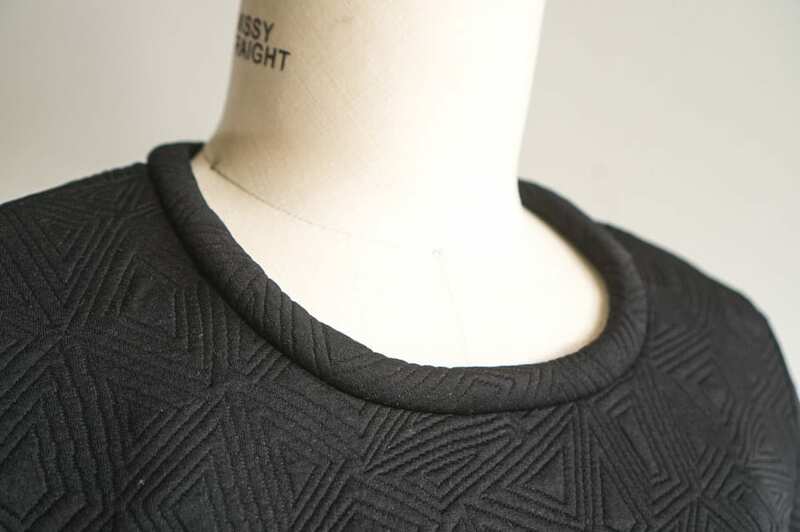 I find 90% is a good ratio for knit neckline bands and bindings, since it has just enough negative ease to lay flat. 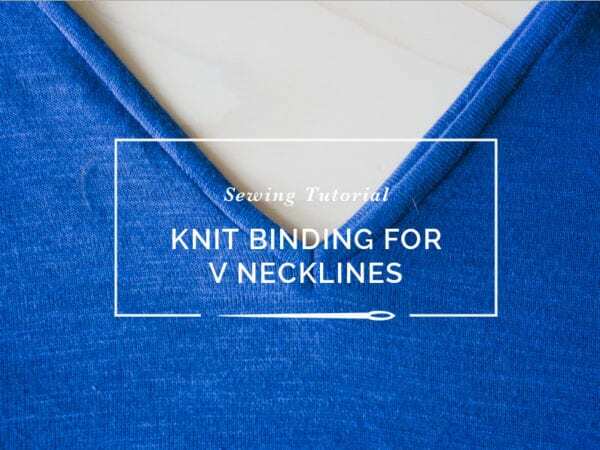 The width of the binding depends on how wide you want the final neckline. 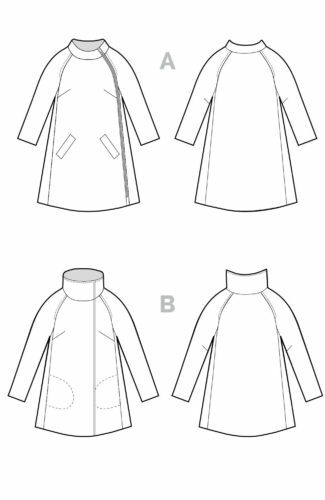 You want to multiply that measurement by 6, and then add 1/2″ for turn of cloth and seam allowance. 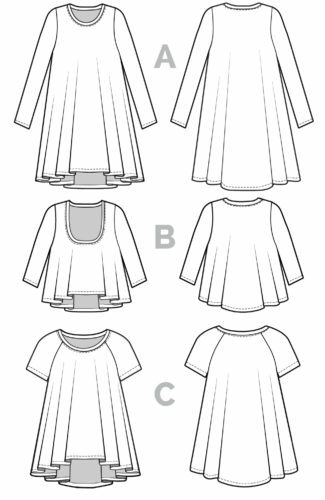 If you want a 1/2″ finished binding like I did here, your pattern piece will be 3.5″ wide total: 1/2″ x 6 + 1/2″ for turn of cloth/seam allowance = 3.5″ total. If you wanted a 3/4″ finished binding, the piece would 5″ wide (3/4″ x 6 + 1/2″ = 5″). In my case, I cut a binding that is the same length as the one in the pattern, only 3.5″ wide total. 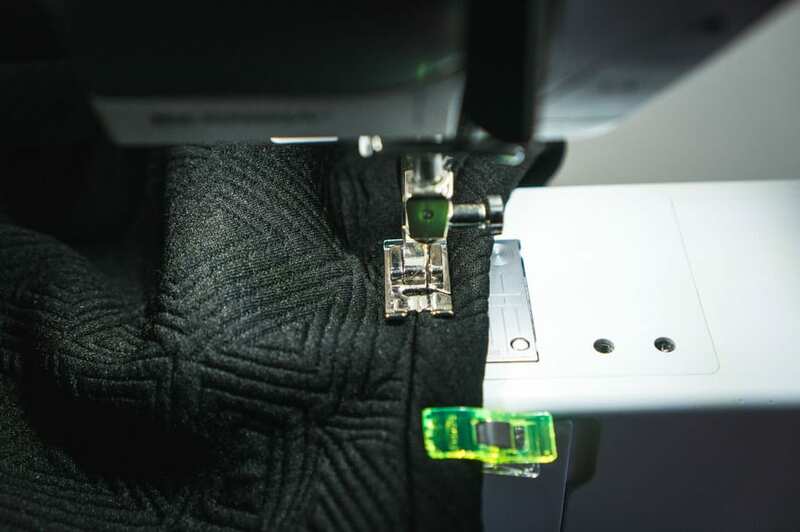 Sew the binding together along the short ends and press the seam open. Press the binding in half, wrong sides together. 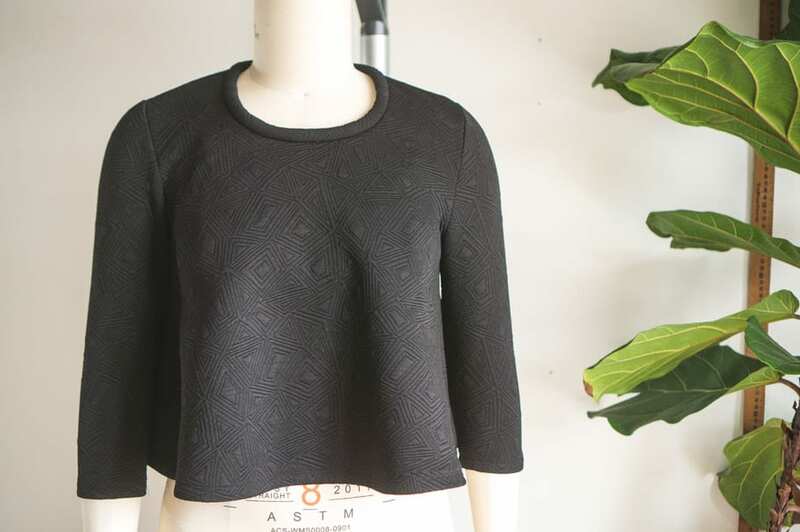 Divide your neckline in even fourths and mark with chalk. 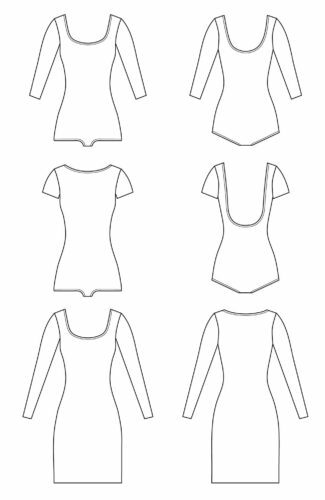 You can do this by measuring the neckline and dividing by four. 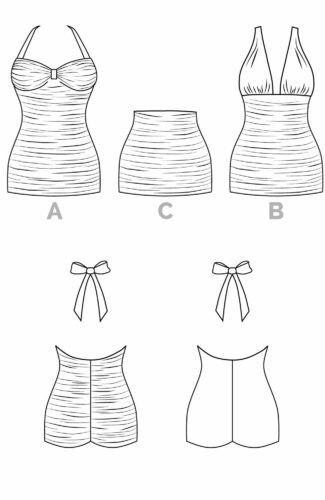 Do the same with your neckline biding, although its easiest to do this by folding it into quarters and then marking each one. 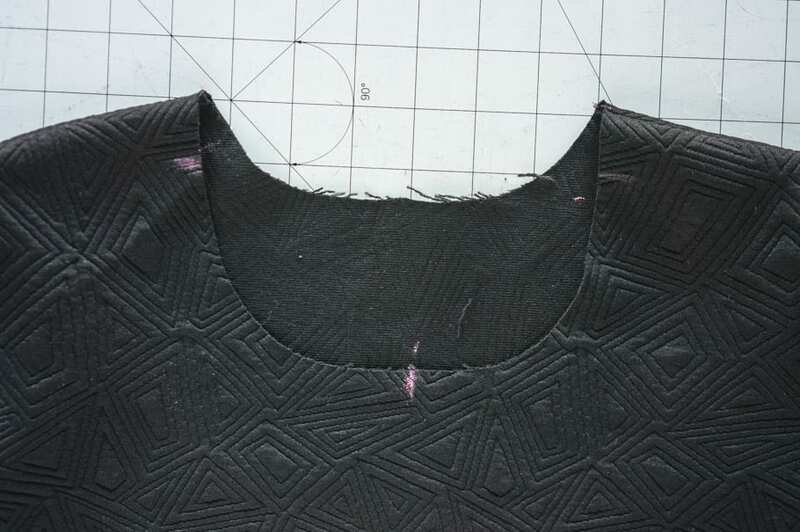 Match up the quarter marks of the neckline and binding, with the binding seam falling along the center back, and then pin into place. 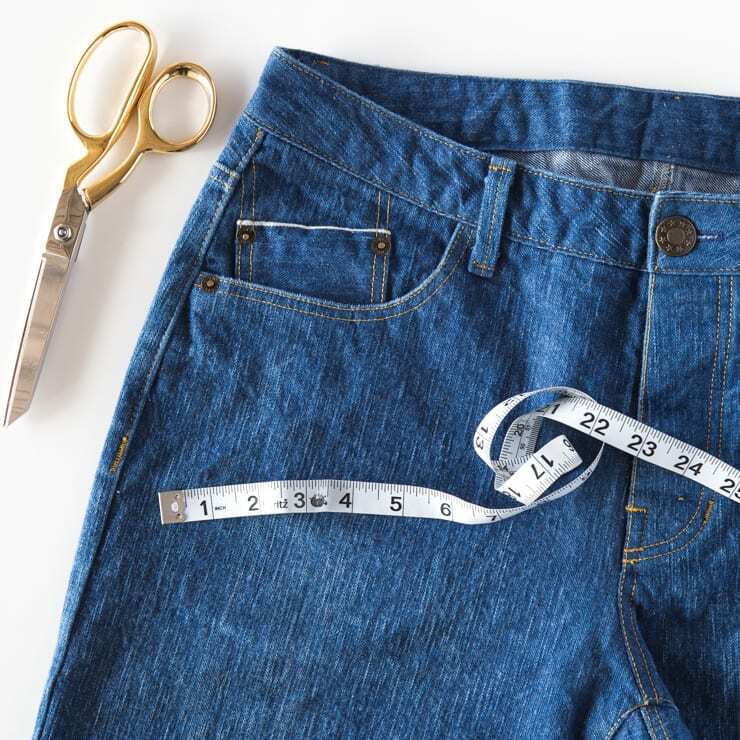 At your sewing machine, sew the binding seam allowance at the same width of your final binding. 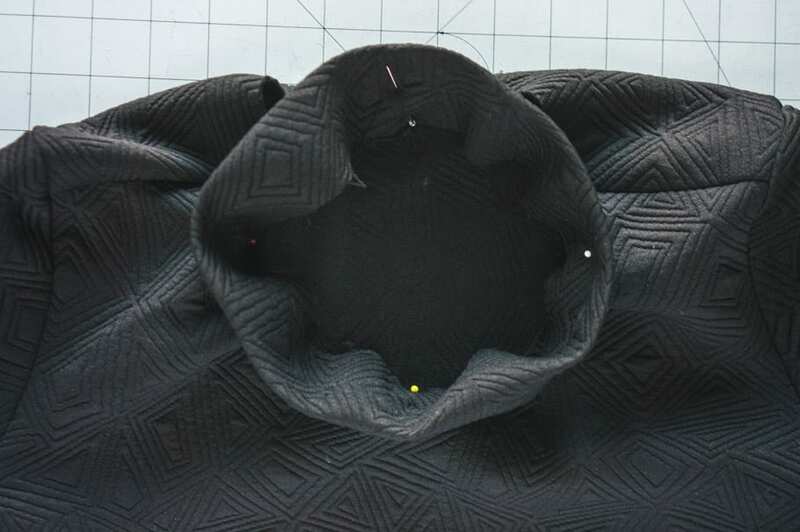 In my case, my seam allowance was 1/2″, but you can make this narrower or wider as you wish. 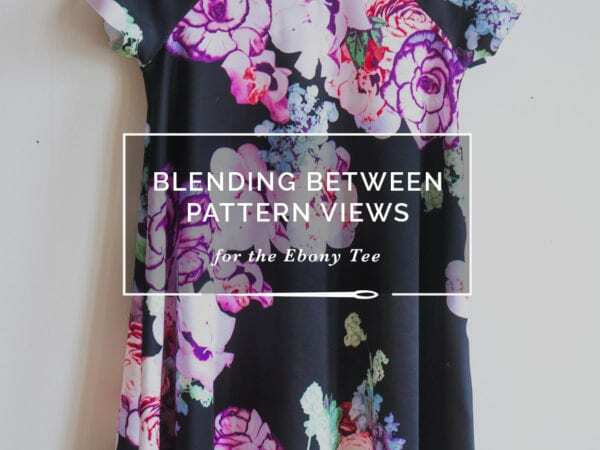 Gently stretch the binding to match the length of your neckline as you sew. 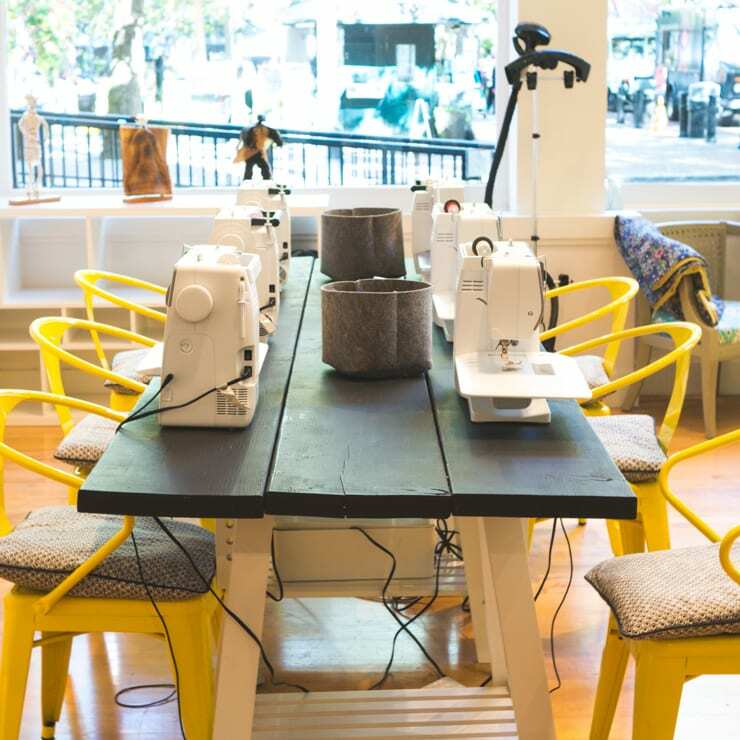 Fold the binding away from the seam and press, ensuring the seam allowance stays flat. Then wrap the binding around the seam allowance itself and press again. 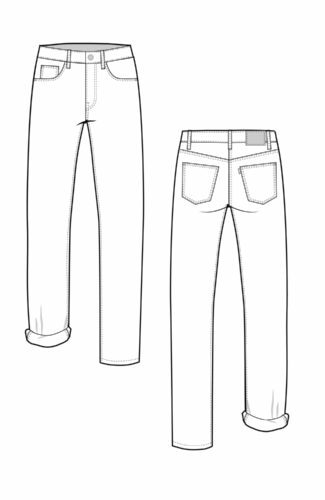 My fabric didn’t hold a crease very well but you should be able to see what I mean below. Pin your binding into place. I prefer to use wonder clips on such a narrow area. 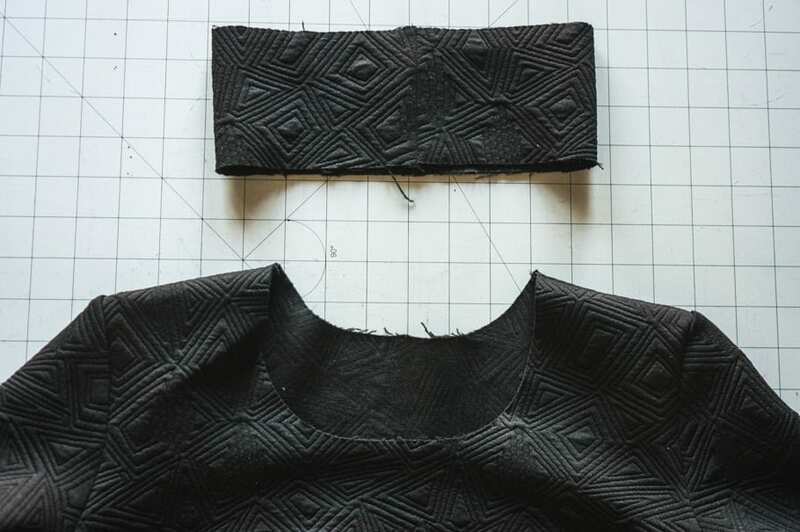 They help ensure the seam allowance of the neckline is laying flat, and that the binding wraps evenly around. 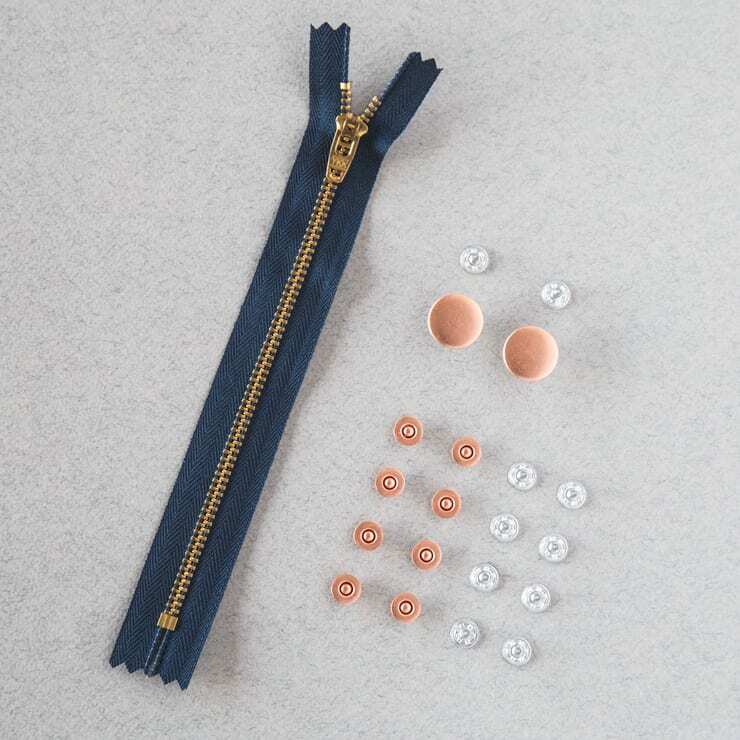 You want to ensure that the neck stitching line is completely concealed by the binding, hence the 1/2″ extra for turn of cloth. 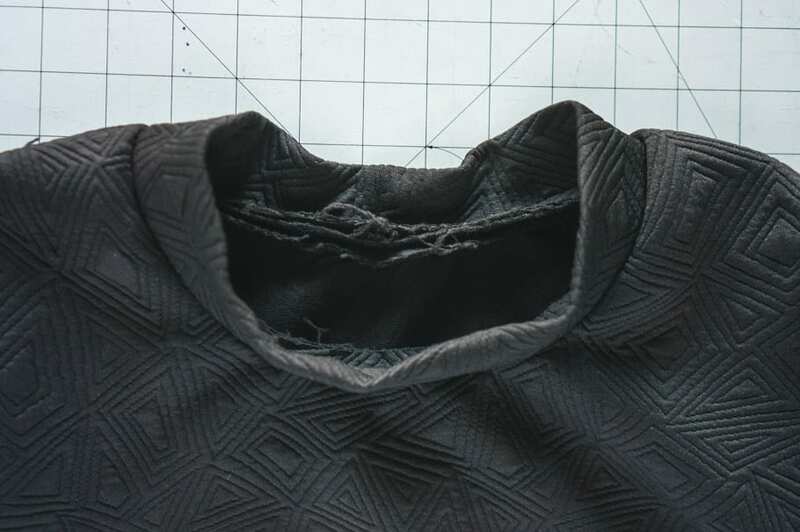 From the right side of the garment, stitch in the ditch along the edge of the binding using a straight stitch. 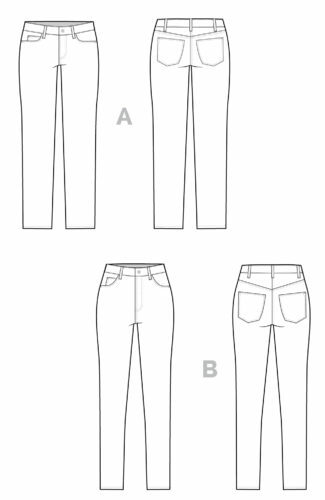 Ensure you are catching the other side of the binding in your stitching, as well as concealing your first line of stitching. You could also use a double needle here on the binding itself, but this will flatten out your binding. 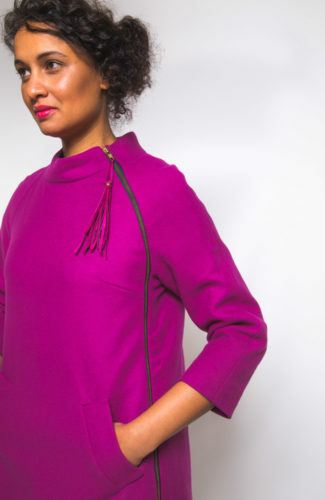 As long as your neckline isn’t being stretched over your head when you put it on, you do not need a super stretchy stitch here. 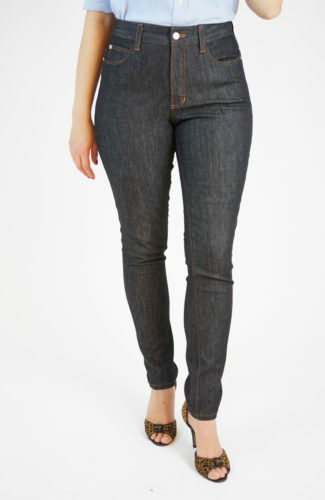 I prefer a nice, invisible straight stitch. 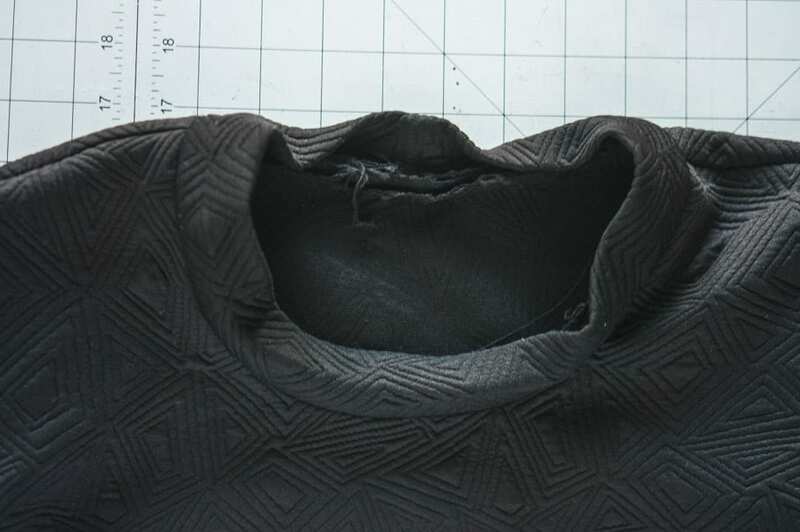 When you are finished, you should have a completely clean finish on the inside of your garment. 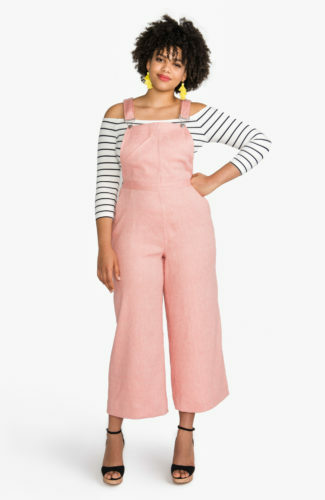 I would love to see this finish a little wider and beefier! 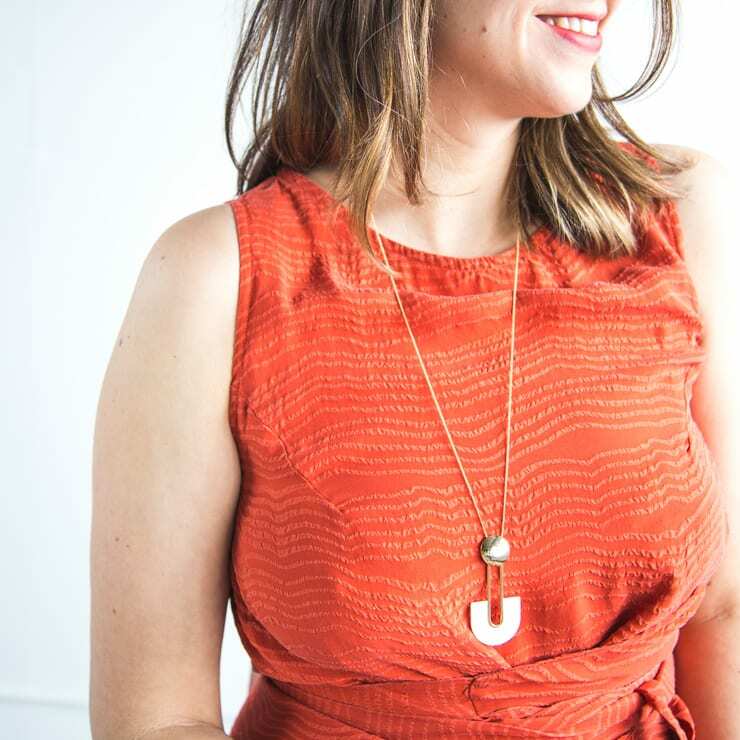 I think it’s such a pretty, subtle way to experiment with what is generally a pretty standard neckline treatment. 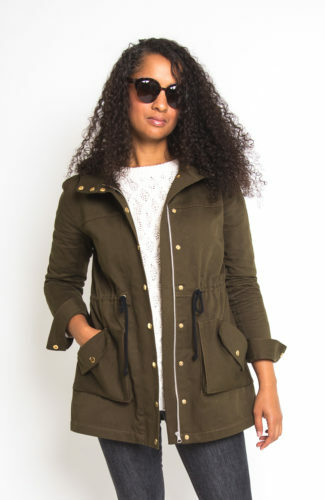 I also think it would be possible to get an even “puffier” binding by either adding another layer of fabric to the sandwich, or by sewing in a thin layer of batting. 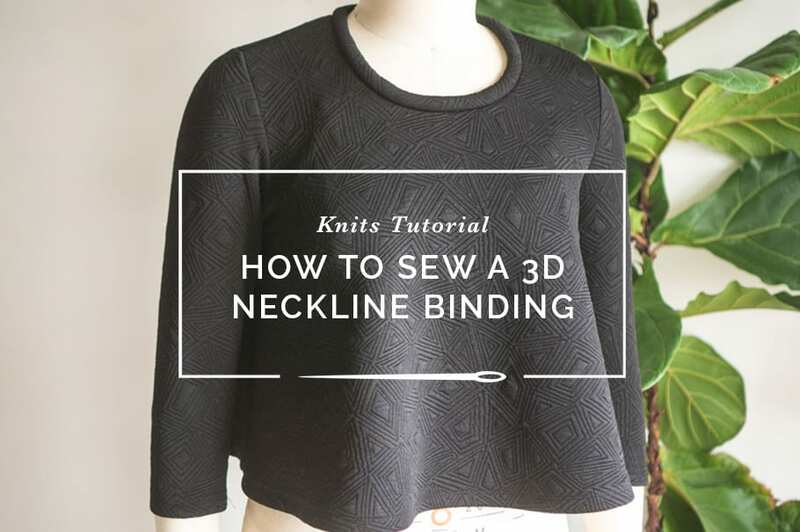 I’ve seen some very pretty 3D neck bindings in ready-to-wear and I suspect this is how they accomplish it. 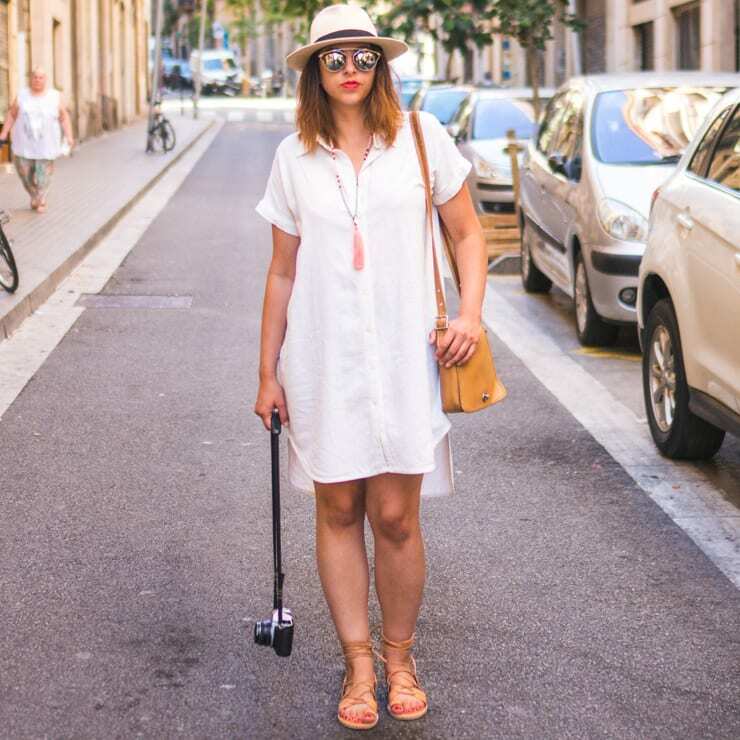 Is this a technique you’d like to try? 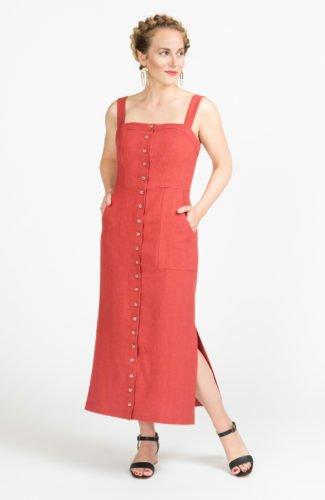 Any other suggestions for creating a big, squishy neckline finish?